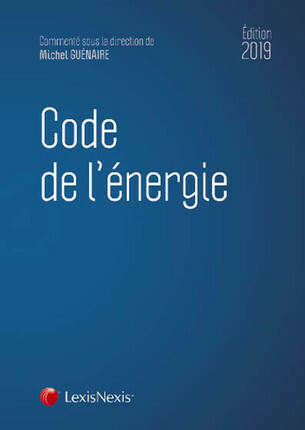 Leading legal publisher LexisNexis published on 29 November 2018 the third edition of the "Code de l'énergie" (Energy Code). Commented under the supervision of Gide partner Michel Guénaire, this code brings together in a single work all texts pertaining to energy law. Just like the previous editions, published in 2013 and 2016, the 2019 "Code de l'énergie" includes an official legislative section, updated with related case-law, and a regulatory section. With the assistance of, among others, Alix Deffrennes, Benjamin Jothy, Pierre-Adrien Lienhardt, members of Gide's Projects (Finance & Infrastructure) and Public Law & Environment practice groups. The latest major decisions in the field.